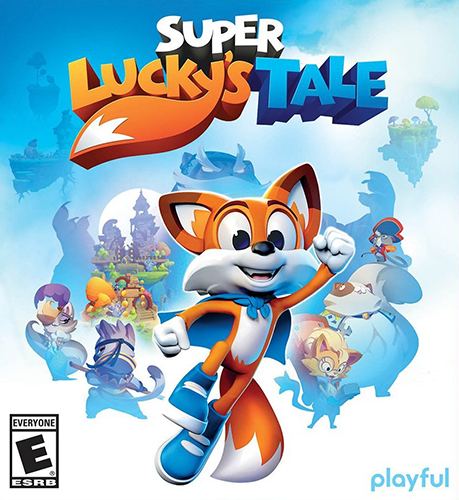 Super Lucky’s Tale – fun and exciting platform arcade for players of all ages. Her character Laki, an indefatigable optimist and good-natured, embarks on a journey to become bolder and help her sister save the Book of Ages from Jinx, the mysterious villain … He planned to change the world – but for what purpose? During the journey you will meet many funny friends and opponents. Lucky will face a dangerous Kotovyvodkom – harmful kids Jinks. These self-taught villains were born into their father, but they do not quite understand his cunning plan. But Lucky has friends and allies. He will get acquainted with lost yeti, eccentric ghosts, worm-farmers and other colorful characters living in the Book of Ages. Try your wits and reactions, solving puzzles and making strenuous races on the obstacle course. Uncover the secrets of the new worlds, using a special reception Lucky – instillation into the ground. Dive into the fox holes to get additional rewards. Return to the era of classic platformers with tests that all players will enjoy, regardless of their skills and age. A delightful adventure with attractive characters. A tremendous variety of allies and opponents in a rich and vibrant world. History of Lucky, full of unpredictable tests and twists. An adventure that will appeal to players of any age and skill level. Available for Windows 10 and Xbox One consoles, including Xbox One X.